A dedicated artist from an early age, St. Louis native Mary Engelbreit sold her first greeting cards to a local store while attending Visitation Academy. Inspired by art from the 1920s and 1930s, she developed a style marked by colorful, richly detailed drawings and short phrases that are by turns whimsical or profound. Greeting cards proved the perfect medium for her work, and after initial successes, she founded her own company in 1983. By 2000 her University City headquarters oversaw a “vast empire of cuteness” that included 12 retail stores, a national magazine and over 6000 licensed products. 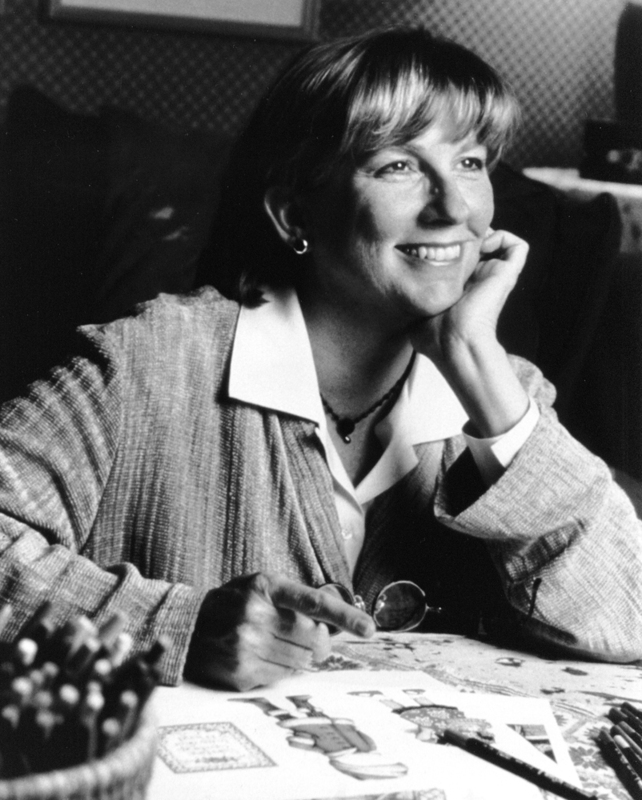 Always guided by her aesthetic vision, Mary Engelbreit’s art is a gift of warmth and joy to millions of fans.